How's this for an online racket? Surreptitiously grab information from Facebook to create tens of millions of profiles labeling people a "jerk" or "not a jerk" and then charge people $30 to revise their online profiles. The deceptive scheme didn't sit well with the Federal Trade Commission, which today filed an administrative complaint against Jerk, LLC and the operator of the website, John Fanning, for misleading consumers that the content on the site had been created by other Jerk.com users when in reality it had been harvested from Facebook without their permission. 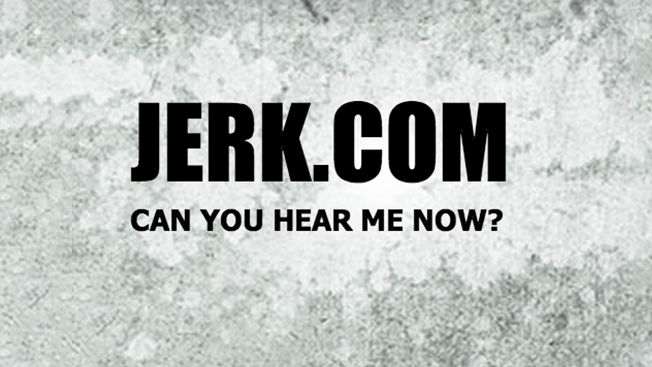 Between 2009 and 2013, Jerk.com operated a social networking website that invited users to "post a jerk." Although the site claimed it contained only user-generated content, in fact the vast majority of the 73 million profiles were created by Jerk using information from Facebook. What's even more troubling, some of the profiles of children were designated as private on Facebook. The FTC is seeking an order barring Jerk.com from using the personal information improperly obtained and requiring Jerk.com to delete the information. "In today's interconnected world, people are especially concerned about their reputation online, and this deceptive scheme was a brazen attempt to exploit those concerns," said Jessica Rich, director of the FTC's bureau of consumer protection. Here's how Jerk.com sucked people in. Jerk.com profiles often appeared in search engine results when consumers searched for an individual's name. When consumers went to the Jerk.com site and saw their photo, consumers would jump to the conclusion that someone they knew created the Jerk.com profile. Profiles often had derogatory comments like, "Omg I hate this kid he's such a loser" or "nobody in their right mind would love you, not even your parents love you." Consumers couldn't remove the profile, but for $25 consumers could email Jerk's customer service department, which told consumers they could "manage" his or her reputation and "resolve disputes" by paying a $30 membership fee. A hearing on the FTC's case against Jerk is scheduled to begin before an administrative law judge at the FTC on Jan. 25, 2015.